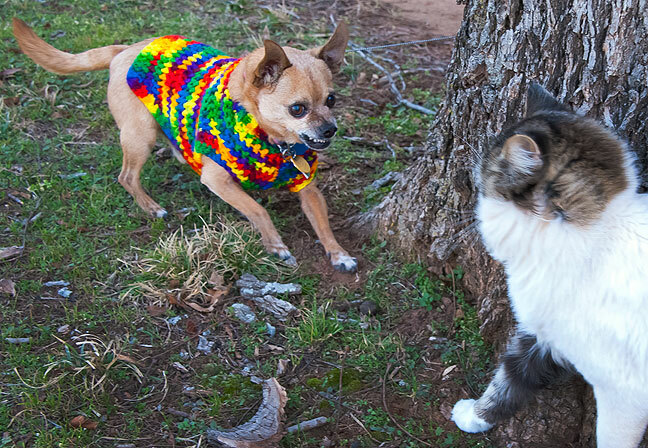 Max the Chihuahua confronts Boots the Cat in Ryan Sunday. 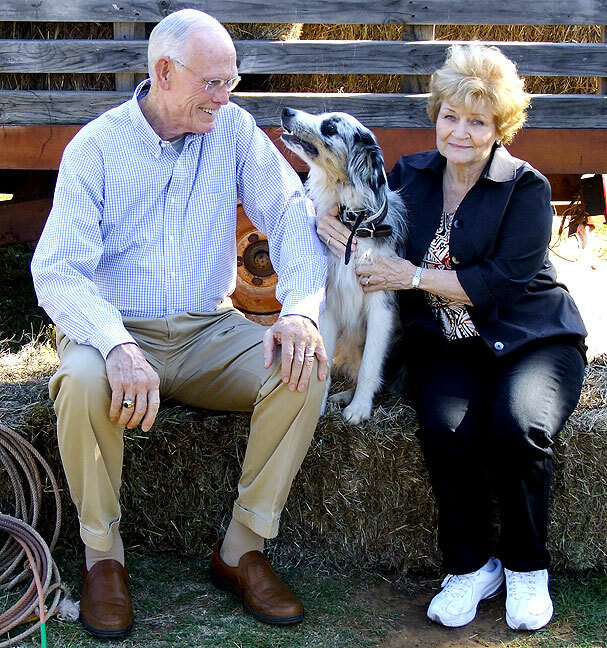 General Wilson “Dutch” Shoffner and his wife Beverly pose for a photo at the 2012 Shoffner family reunion. My wife Abby and I went to her hometown of Ryan, Oklahoma, yesterday. Abby’s Uncle Dutch, the retired three-star general, and his wife, Beverly, passed away within a couple of weeks of each other in December, so there was much for the family to discuss. By late afternoon, the light and the weather were so nice I decided to sneak off and make some images. I wrote more about the session on my teaching blog (link). Abby seemed happy we were able to visit. 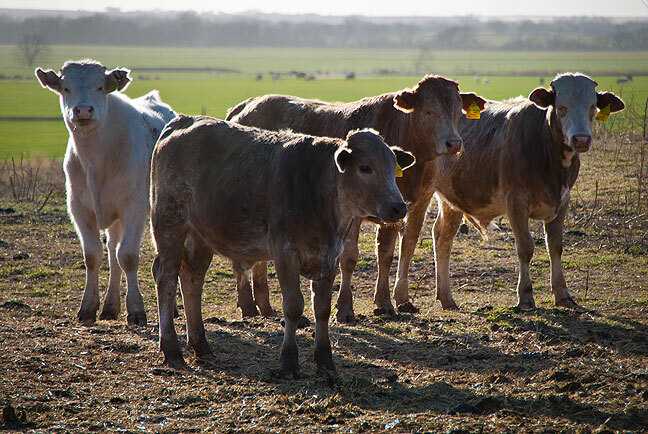 After photographing these cattle, I sort of stampeded them. They didn’t fun far, though.